Food, after housing, is probably one of the biggest monthly expenses for most people. Sure, you could cut back on your food spending, but you also don’t want to sacrifice healthy eating. One of the best ways to save money and eat healthier is to sprinkle in a few plant-based meals each week. Meals that use plant-based proteins, such as beans, legumes, or soy, are a great way to save a little money on groceries and still eat healthy. Many plant-based proteins can also be bought in bulk (and don’t spoil as quickly as meat would), so you can always have them on hand for those days when you forgot to go grocery shopping. Also, veggies, which should be the star of any plant-based meal, are loaded with vitamins and minerals so you won’t be missing a thing in terms of your nutrition. Here are five of our favorite, budget-friendly ideas for plant-based meals. Sprinkling these into your weekly meal plan will help save money, but also keep you on track with healthy eating. Stuff the potato with black beans, roasted corn, tomatoes, cheddar cheese, and some diced chilies. Omit the cheese if you want to keep your dish vegan. You can use a pre-made spinach artichoke dip to stuff the sweet potatoes and top with breadcrumbs for a crispy crust. Or make it lower calorie by making the dip yourself with canned artichokes and fresh spinach. To lower the calories even further consider using low-fat cheese or none at all. Instead of beans, stuff the potato with quinoa which has more protein and fiber. Top with dried cranberries, arugula, and a sprinkle of nutmeg or cinnamon for a fall-inspired potato. 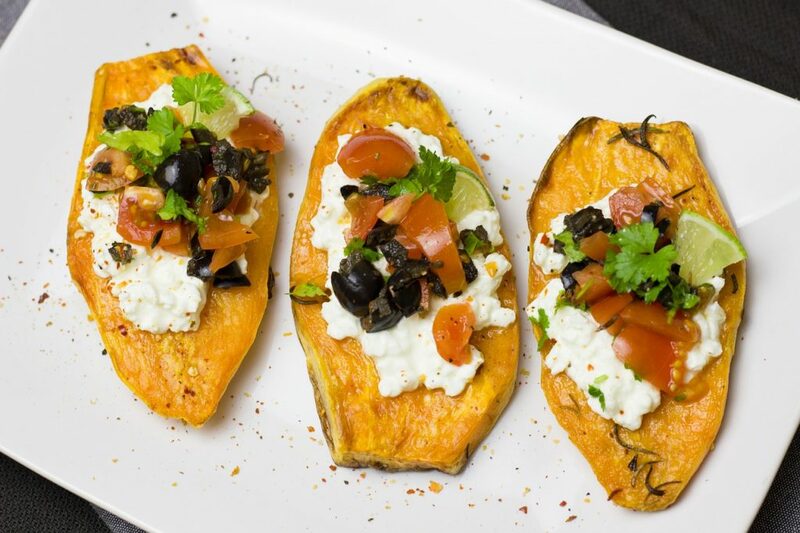 Check out another fun way to use sweet potatoes here! 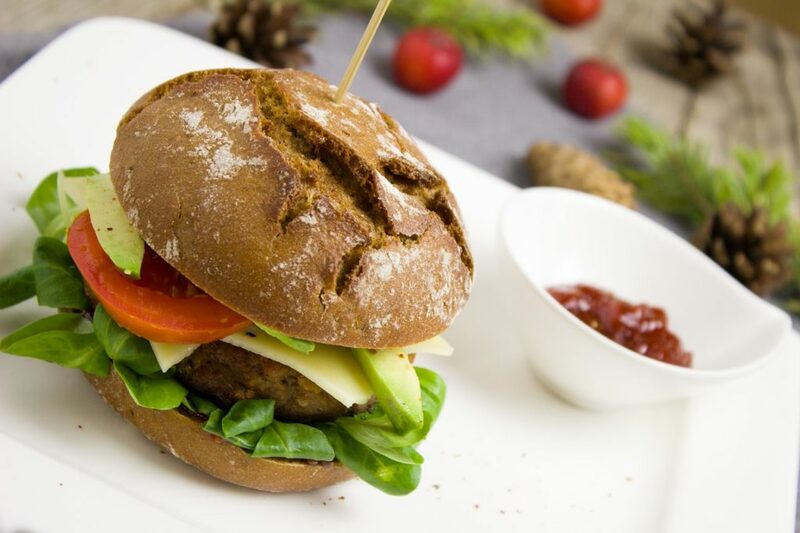 Veggie burgers can be made with a variety of plant-based proteins. They are a tasty, meat-free alternative to the traditional burger. They come loaded with protein and tons of fiber, which is missing in a meat-based burger. You can either purchase veggie burgers pre-made, they are usually found in the frozen food section of the grocery store. Or you can tackle making them yourself. A few bases that work well are beans, lentils, or even mushrooms. Serve your burger on a bun or for a bigger nutrient boost, eat it over a salad. If you are eating it sandwich style, be sure to load that burger up with tons of toppings and veggies, such as lettuce, tomato, pickles, or avocados. The options are endless! There are many versions of burger buns these days! The beans are seasoned with cumin, coriander, bell peppers, paprika, garlic, and vinegar, then served over white rice. Brazilians traditionally eat this dish with a side of sautéed collard greens and sliced oranges. Beans can be cooked with diced tomatoes, onion, cumin, and chili powder, then served over Spanish-style rice. Serve with a side of salsa and top with some avocado and cilantro for a balanced meal. 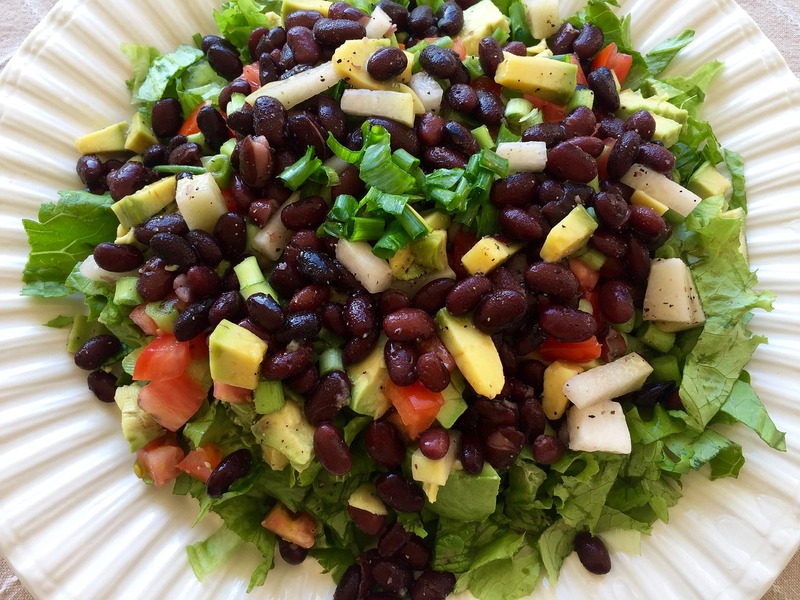 This traditional Creole-style dish uses kidney beans seasoned with cilantro, onion, garlic, hot sauce, and celery. The beans are usually mixed in with the rice for this filling meal. Lentils are loaded with protein and fiber. They also make a great meat-alternative to protein in a soup. They are easier to prepare on a weeknight because they don’t require soaking like other beans. You can also make a big batch ahead of time and freeze in smaller containers to pull out for really busy nights or for a quick lunch. Mix lentils with potatoes, canned tomatoes, carrots, onion, and celery into a vegetable broth. Season with curry powder, turmeric, cumin, and coriander for an Indian-inspired soup. One of our favorite ways to do lentil soup is to have soup for dinner on days when there are a ton of leftover veggies in the fridge that may be on their last leg. Leftover zucchini? Throw it in! Tomatoes looking not so pretty? In the soup, you won’t even notice. 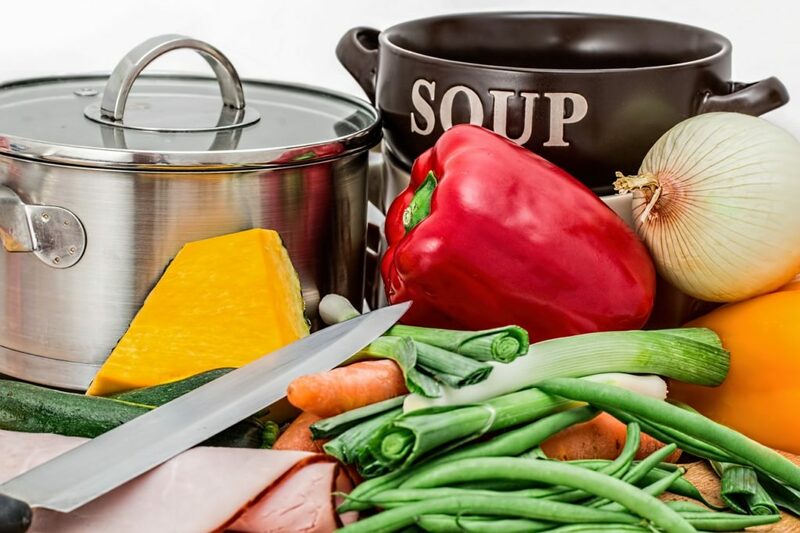 Adding all of your remaining veggies into the soup will allow you to use up veggies before you go bad and have a delicious, plant-based meal at the same time. Use lentils as a base for chili instead of beans or meat. Season with cumin, tomatoes, paprika, chili powder, cayenne, garlic, and onions and add in any additional veggies you enjoy. Dice tomatoes, cucumbers and artichoke hearts over the quinoa. Add feta or your favorite Greek salad dressing. Top the bowl with spring peas, sliced radishes, asparagus, avocado, and sliced almonds. Drizzle a bit of olive oil and lemon juice for flavor. Similar to the Southwest sweet potatoes, top the quinoa with black beans, roasted corn, diced chilies, cheddar cheese, and salsa. These ideas can get you started with plant-based eating without breaking the bank. The secret to eating healthy and plant-based is to start your meal with a protein base (think beans, lentils, quinoa) and add in all the veggies you can. Seasoning the dish in a variety of ways can keep the meal interesting. Plant-based meals also lend themselves to quick preparation and can freeze easily, making them ideal for busy weeknights. Plant-based eating is a great way to have healthy meals on a budget. We have hundreds of recipes inside the 131 Method. Click here for more. I made lentil soup this week. I flavor with garam masala. Soooo good! !